We are very excited to announce an amazing collaboration and new Sigma Beauty product! We recently teamed up with beauty expert Tiffany D who designed her own unique makeup palette. Introducing, the Defining Eyes Palette by Tiffany D! The Defining Eyes Palette is an all-in-one kit design to enhance, amplify and brighten your eyes. 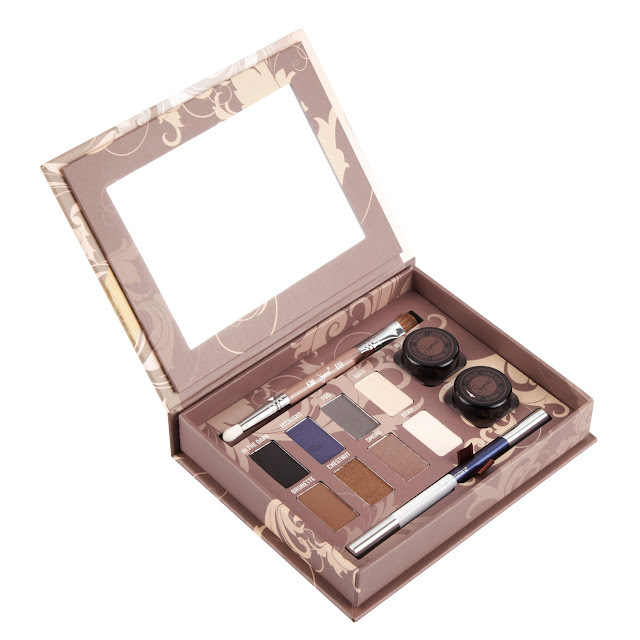 The palette includes eight eye shadow shades, two gel liners, a dual ended brush and a dual ended eye liner pencil. All of the products complement each other perfectly, allowing you to create a wide variety of looks. The palette comes with a booklet featuring five of Tiffany’s favorite tips and tricks for using the palette. The Defining Eyes Palette is a limited edition Sigma product, so order yours before it’s too late! The palette is a must-have for the holidays and a wonderful opportunity to own a product developed exclusively by Tiffany! It would also make a wonderful gift for any makeup lover! Check out the blog tomorrow for an exclusive interview with the designer of the palette, Tiffany! this time you have announce this at the very last second! but i have alreayd posted it in my italian blog. Love it!